Dr. Skadberg has been invited to assist Zoom Information Systems to go to the next level with the wireless Internet and traveler information in Dept. of Transportation rest areas in Iowa. To learn more about the project you can view the video. The Solomon Source VE strategy has been written up extensively in the Vision book. In essence we have been waiting about 8 years since we first conceived and develop the "pilot" TexBox strategy while Dr. Skadberg was still an extension professor at Texas A&M University. In 2004 Texas decided to put wireless Internet across the state. Iowa was the second state to deploy the same services. Now this phenomena is in about 12 states by through a consortium of three companies there is the possibility of being in 25 states. In the initial stages of strategy planning we see the potential to support official organizations like Tourism Iowa and other community and regional tourism organizations to enrich and enhance traveler's experience while supporting communities and entrepreneurs to grow tourism and local businesses and experiences. One of our longest running projects was initiated in Jamaica from the Vision of our dear friend Desmond Green. The foundational principles espoused by Desmond in The Practice are at the core of this initiative. Currently our team is growing and the project is getting linked to a number of participants including the Exogeny network with Gregory Miller and Gia Scott. Desmond developed his Vision over his entire lifetime, which centers around his awareness that Conscious Deep Breathing is the spirit's vehicle for life in the universe and is the means by which humanity is awakening to the truth of who and what we are and how we will come to realize that we are creating heaven on Earth, Now. You can get a free book by Desmond entitled the Global Citizenship Passport, and can visit the Jamaica Self Management Institute Website. Yvette Dubel was the person who made the introduction between Dr. Skadberg and Desmond in 2008, and her projects Cultural Fusion and Hotel Infinity are closely tied to this exciting and powerful project. Inventor of a Hovercraft, Bob Windt, and creator of Universal Hovercraft has now retired and focuses his attention on getting kids away from the computer and TV while teaching them what they can do with their minds and hands. 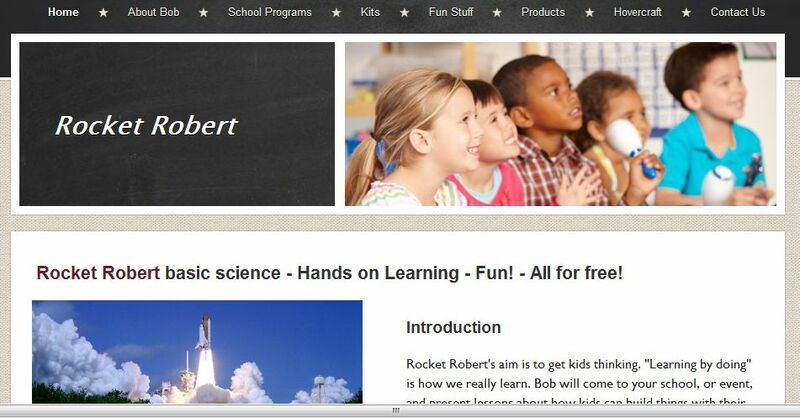 The Vision Excelerator is currently assisting Bob to develop a Web presence while also compiling several curricula and descriptive documents teaching kids how to make operational model rockets, airplanes, boats, hovercrafts, etc. with simple to find materials. Bob's passion is to conduct in class "learning by doing" presentations and is constantly looking for additional venues for enthusiastic and entertaining presentations. A brand new project evolving out of Groundswell. Connecting communities with financial services to allow the community to be the master of its destiny. To learn more, follow this link.